When you need a limo in Hicksville, you want S&G Limousine. Hicksville may be excellent when it comes to public transport and finding easy ways to get around, but when you want something more than a taxi, bus, or train, the only option is S&G Limousine. As the top limo provider in both Hicksville and the entirety of Long Island, we’ve been working for years to perfect our service and are always looking for even the smallest area where we can improve your riding experience. By focusing on all these details, what we’ve created is nothing short of Hicksville’s best limousine company and we’re extremely proud of the upscale services we deliver on a regular basis. First and foremost, S&G Limousine specializes in quality airport transfers that are head and shoulders above the competition. Providing journeys to LaGuardia, MacArthur, JFK, and Republic for years, we’ve tailored our offerings to the needs of our Hicksville clients, many of whom call us every time they need a ride to or from the airport. With dependable and safe drivers, complete luggage assistance to help with your bags, convenient meetup points for arrivals, and guarantees for on-time pickups, every S&G Limousine trip is punctuated by all the little details that elevate your airport transfer from standard to memorable. hile we’re certainly known in Hicksville for our quality airport limousine services, the truth is that we offer much more and bring our sense of quality to all the limo rides we deliver. From arranging all the transport for a group outing to a Jones Beach concert (imagine enjoying the event instead of shouldering the weighty responsibility of driving) to Manhattan business meeting trips for corporate clients that use our company several times a week, our ability to be flexible means that we can find an elegant solution regardless of what you or your group needs. 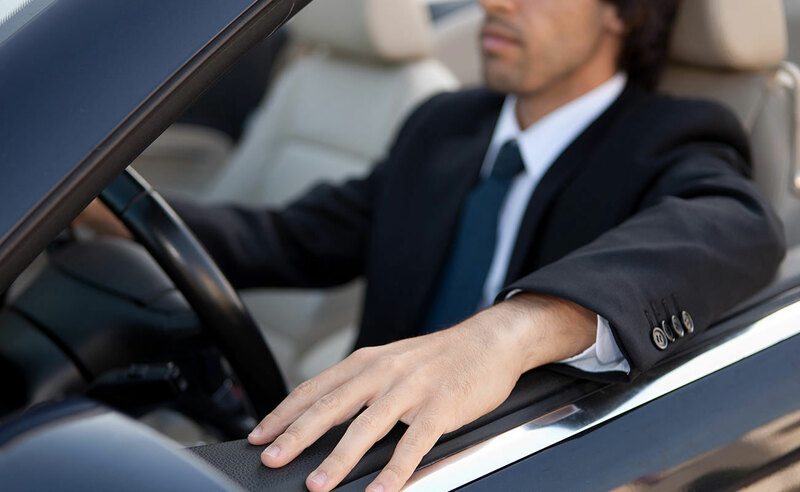 Whatever options you select, you can expect an expertly-cleaned and customized upscale vehicle as well as an impressive chauffeur with years of experience driving specialty vehicles. At S&G Limousine, the safety and comfort of our Hicksville guests are our top priorities. That’s why all chauffeurs on our team were hand-selected from many applicants and thoroughly investigated and tested before being hired. In addition, we provide extra training to ensure an unmatched degree of professionalism from our chauffeurs at all times. WHEN YOU’RE READY TO ADD A LUXURIOUS LIMO INTO YOUR NEXT OUTING OR HICKSVILLE AIRPORT TRANSFER, GIVE US A CALL AT 516-223-5555 AND LET S&G LIMOUSINE SHOW YOU FIRSTHAND OUR IMPRESSIVE ABILITY. From Hicksville wedding limos to Hicksville prom limos S&G has you covered.